Obviously, this is achieved by washing your hands. But you don't always have access to soap and water. 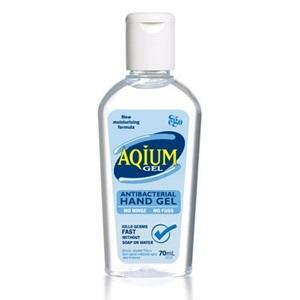 That's where Aqium Hand Sanitiser comes in very handy. It leaves hands refreshed, moisturised and hygienically clean. Just think of all the places you come into contact with germs. From public transport to travelling overseas, even the simple act of changing your child's nappy. Aqium is an ideal way to stay germ free wherever you are.